Socialization Success! River unites with Batman and Timon! That’s right, River happily joined Batman and Timon in their enclosure so we now have a group of three monkeys! 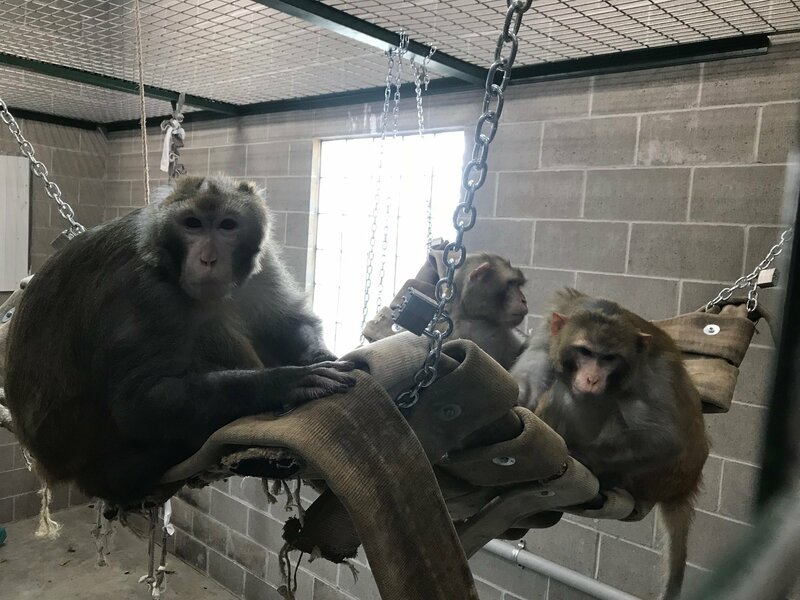 Socializing Rhesus monkeys (putting them together in pairs or groups) can be a challenging process because of aggression and conflict, but this group has been doing phenomenal! We have professional staff who were able to analyze the interactions River was having with Batman and Timon. Please help us support the staff by donating at www.primatesinc.com/support. Thank you!